This year I redeemed myself. 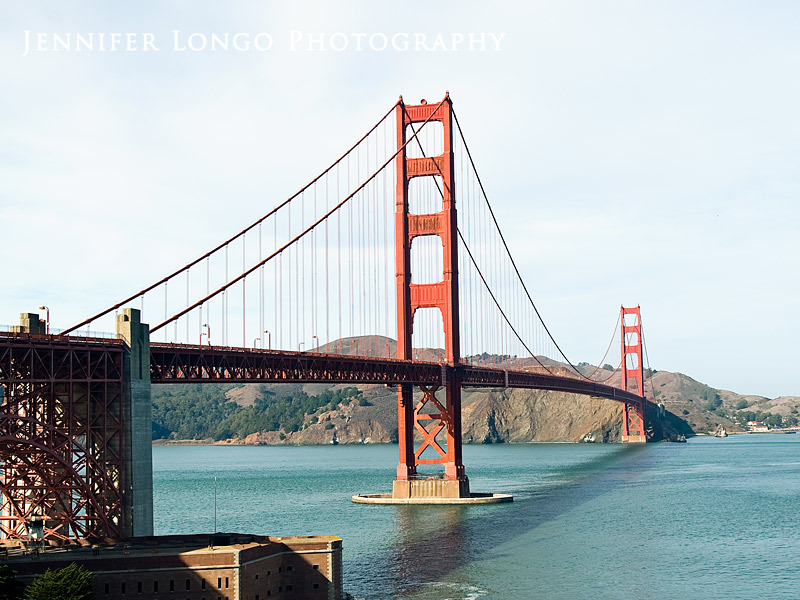 Here’s why…..
Last year when I visited San Francisco for the very first time ever, I was so excited to see the Golden Gate Bridge. It was the one and only thing that I was really dying to see upon my trip to the bay area. I drove a good 4 hours or so with some friends of mine who live in San Luis Obispo up to San Francisco so I could experience the city I had seen and heard so much about in my life. Upon arriving, we hit traffic. That was a bummer – but what else should I have expected? We were in a big city. I couldn’t believe the hills and that they really were just as steep as they show them in the movies! I honestly had no idea they were really as high as they were. My friends also steered me toward Lombard Street, you know, like all the cool tourists do. We made our way down a road with beautiful houses where we were able to snag a public parking spot. Ecstatic, I parked the little rental car (which was a red Yaris that I can’t believe made us up and down those hills) and we ran toward the water so I could see that beautiful red structure. “The bridge should be right out there” one of my friends stated. Insert Golden Gate Bridge here….. So this year I headed back to that heartbreaker known as San Francisco hoping I could get even a small glance of the bridge. As we drove closer and closer….I could see it! The top of the bridge was in view! I followed the signs toward the Golden Gate Bridge and there it was as clear as could be. I couldn’t believe it. It sounds crazy and dramatic because to most people….it’s just a bridge. But I had been looking forward to photographing that bridge for a very long time, and this time, the weather couldn’t have been better. We started at a vista point on one end of the bridge that was full of tourists from all over the world. I somehow managed to find a parking spot in the midst of the chaos and ran to snap some photos of the bridge as if my life depended on it. It was as beautiful as it looked in the photos I had seen. We eventually made our way over the bridge and into the city. We hung out and hit a couple of shops along our perusing. I was determined to stay until the evening so I could get photos of the bridge in the darkness of the night. We killed time and found the Marin Headlands, an amazing vantage point to see the bridge! We also checked out the famous Painted Ladies (you know, from the full house intro!) as every tourist does. I was excited for all of these things. It’s amazing to see the spots in person that are constantly glorified in the media. It’s a different experience seeing them in person I guess. So yes, this year I redeemed myself. I throughly enjoyed my time in San Francisco. It is a beautiful city – especially at night! Be sure to check out my video at the bottom of the page from Sausalito, CA to crossing the bridge.